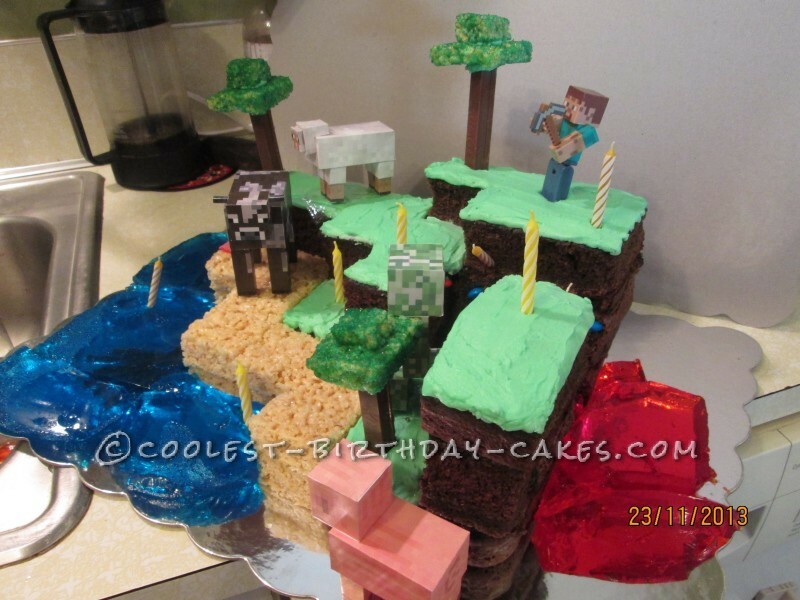 My 8 year old son wanted a Minecraft cake, so I put this together. 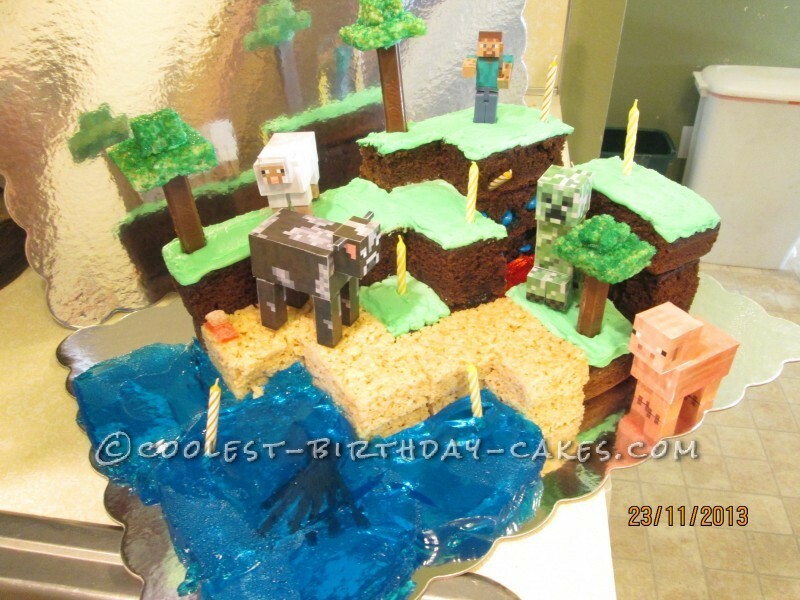 The water has a black licorice octopus under the blue jello “water” and colored M&M’s represent the lapiz lazul, coal, redstone, and gold stuck into the “mined” layers. Steve did made sure to put some “torches” along the mine shaft, and it’s a good thing, because he dug too deep and almost got swallowed up by lava that oozed out of the deep. I made a Halloween costume for him of the Creeper and he won the best costume contest for it and it was later part of his birthday party decoration. I spent hours folding the paper cow, pig, sheep, and creeper. All the kids raved over it and the parents came up to me later to ask for pictures because their kids talked about it so much. My son loved it so much that he still talks about it a year later and now his younger brother, 4, wants one for his birthday.